Plano, IL (March 26, 2015) – In the world of hunting optics, you get what you pay for. You can shell out $150 – $200 for a pair of decent binoculars or spend well over $1,000 for the very best in high-class glass. Whether you are a professional who demands the very best quality and performance or an enthusiast who values and appreciates those attributes, toting those expensive optics into the harsh wilderness battlefield by a string around your neck can be nerve wracking. We call it insane. It’s time for a better binocular harness…a bomb-proof vault for your binos that’s comfortable to wear, easy to use, and worthy of the Tenzing name… an optic suspension system that helps hunters go further and hunt longer. The new Tenzing TZ OSS15 Optic Suspension System is the finest and best performing binocular harness ever made, providing premium-quality comfort and premium-quality protection for your optics investment. The heart of the TZ OSS15 Optic Suspension System is its 5.5” x 7.5” x 2.5” 500 Denier Nylon binocular pocket. It’s covered at the top by a stiffened protective flap for easy one-handed access, and is large enough to accept most roof prism binoculars up to 10 power with 50mm objective lenses. The sides of the pocket are breathable to prevent fogging and feature additional mesh pockets to hold pen-style cleaners, wind detectors, hunting calls or other small items. Wearer comfort is a hallmark of the Tenzing brand. Our packs are engineered and constructed to carry incredible loads without slowing you down. The TZ OSS15 Optic Suspension System continues this legacy, combining ergonomic design with high-tech materials to create shoulder straps that move with the hunter and distribute the weight of heavy, quality binoculars efficiently. Fully-adjustable straps keep the binocular pocket close to the body to avoid snagging without pinching or binding. Quality Tenzing touches throughout the TZ OSS15 improve comfort, performance and durability. Impact-resistant buckles are covered in Hypalon material to minimize noise, while a built-in retractable cleaning cloth provides additional utility. Shoulder straps and binocular pocket are finished in the cutting-edge Kryptek Highlander camouflage pattern for the ultimate in concealment in a wide variety of hunting terrain. One of two all-new hunting optics suspension products from Tenzing for 2015, the premium TZ OSS15 Optic Suspension System provides top-of-the-line performance and protection for your valuable hunting binoculars. Go further. Hunt longer. And stop worrying about your binoculars. Learn more at www.tenzingoutdoors.com. First introduced at the Archery Trade Association (ATA) Show in January 2012, the Tenzing™ line of innovative, high-tech, high performance packs are engineered and built to help hunters go farther, stay longer, and comfortably carry incredible loads in and even bigger ones back out. Tenzing packs are constructed from the finest materials available, including the world’s strongest fiber, Dyneema®, and designed to be the lightest, most rugged, best organized and most versatile packs on the market. Tenzing packs are fully adjustable to result in a perfect fit for any hunter. Combining his life-long passion for the outdoors with a relentless desire to be the best at his craft, Jay Robert is the soul and spirit behind the Tenzing brand. A company of hunters who listen to other hunters, Tenzing pursues innovation through real world product feedback from one of the hardest-working hunting pro and field staffs in the industry. 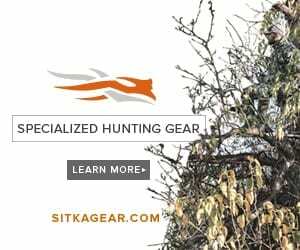 The ever expanding Tenzing product lineup includes carbon fiber frame packs, full-sized backpacks, lightweight day packs, lumbar packs, archer’s packs, women’s-fitted packs, turkey packs, upland bird packs, waterfowl blind bags, high-performance bow cases, gun cases and related accessories. Tenzing products have received numerous recognitions for innovation and quality, including a prestigious Field & Stream Best of the Best 2012 Award for the Tenzing TZ 2220.